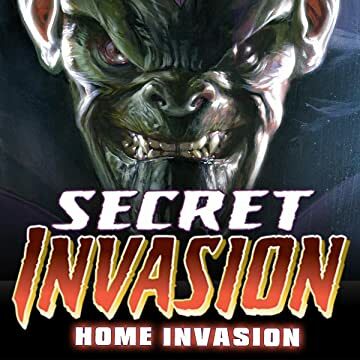 Collects Secret Invasion: Home Invasion #1-8. Kinsey Walden was just a typical high school senior. With her parents out of town, she should have spent the last few days just enjoying herself - playing soccer or shopping for the perfect prom dress. Or doing anything other than what she has been doing: spying on her brother, Hank, who's been acting a little stranger than normal recently. "Strange" as in writing notes to himself in a made-up language and keeping maps of Manhattan hidden under his mattress. Kinsey believes something is seriously wrong with Hank, and when she decides to confront him with her suspicions, he... turns green! 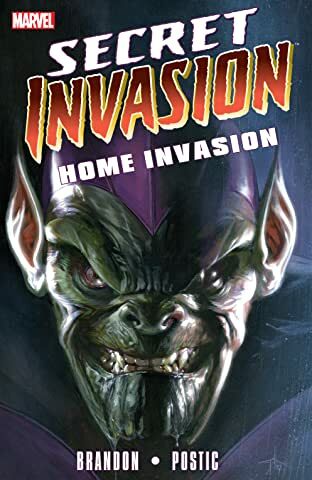 Get the ground-level perspective on Marvel's biggest story of the year as Kinsey and her friends hit the streets to escape her brother. Guest starring the Young Avengers.